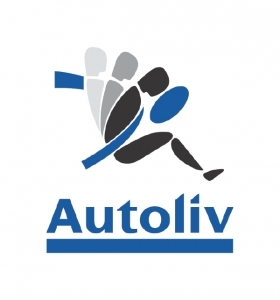 Swedish auto safety products supplier Autoliv Inc. agreed to purchase the automotive unit of semiconductor provider M/A COM Technology Solutions Holdings Inc. for a base price of $100 million plus incentives and fees. M/A COM, based in Lowell, Mass., supplies a variety of GPS modules and navigation technologies along with radio frequency and antenna products to the auto industry. The unit generates about $90 million a year in revenue and employs about 25 people, Autoliv said in a statement Thursday. The transaction, expected to close in the third quarter, also calls for M/A COM to receive $15 million in consulting fees and another $30 million payment if the unit reaches certain financial targets through 2019. Separately, Autoliv today reported a bigger-than-expected rise in second-quarter operating earnings and repeated its forecast to grow comparable sales by more than 6 percent this year. However, the company also pointed to uncertainty about weaker light-vehicle sales in China and said it was taking steps such as tighter cost controls to gird for any downturn in the world's biggest auto market. "Autoliv's strong organic sales growth continued in the second quarter," Carlson said in a statement. "Our ability to continue to grow even when a growth market such as China slows down, demonstrates our global strength. "Europe and North America were the drivers, showing solid, balanced increases for both passive and active safety products. I am pleased that, through solid execution, we managed to exceed our operating margin expectation from the beginning of the quarter." Operating income at Autoliv, the world's biggest maker of safety gear such as seat belts and airbags, rose to $209 million from a year-ago $139 million. The results exceeded a mean forecast of $196 million in a Reuters poll of analysts. Operating margins rose three points to 9.1 percent for the quarter. Autoliv said total revenue fell 4 percent to $2.3 billion during the quarter. Philip Nussel and Reuters contributed to this report.